Virtual tumors—computer simulations that incorporate a patient’s genomic information—can help personalize cancer care. They have already been used to predict patient responses to drug treatments. In particular, virtual tumors have identified which patients are likely to respond to checkpoint inhibitors, drugs meant to prevent cancers from overriding host immune checkpoints. Predicting patient responses to checkpoint inhibitors can not only help patients get started on a helpful therapy more quickly, they can avoid unnecessarily subjecting patients to drugs that have toxic effects. With these potential benefits in mind, researchers based at The University of Iowa College of Dentistry developed a computational technique that predicted immune checkpoint ligand PD-L1 and other immunosuppressive biomarker responses. The computational technique’s predictions were subsequently validated by laboratory experiments. The computational technique was detailed in a presentation (“Predicting Non-Responders to Immunotherapy Treatments through Simulation of NGS Information”) during the 57th American Hematological Society Annual Meeting and Exposition, which took place last month in Orlando, FL. 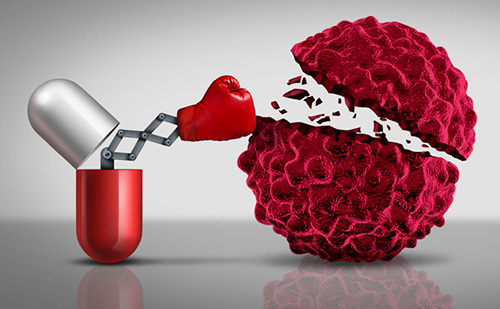 The technique involves taking genetic information from a cancer cell, importing it to the simulation model, and predicting the response that the cell would have to a particular treatment. Next, live cancer cells are taken and grown in the laboratory. Then the actual response to the identical treatment is determined.